Like many racers, I took up this sport from my dad and uncles. As a young kid I grew up at dirt tracks like Ransomville, Merrittville and Humberstone Speedways, Cayuga Dragway and Cayuga Speedway, tracks that littered the scene in the Northeast in the early 80's. When I hit 9 years old I raced my first kart race, back then you actually had to drive them, and my love for racing only grew from there. 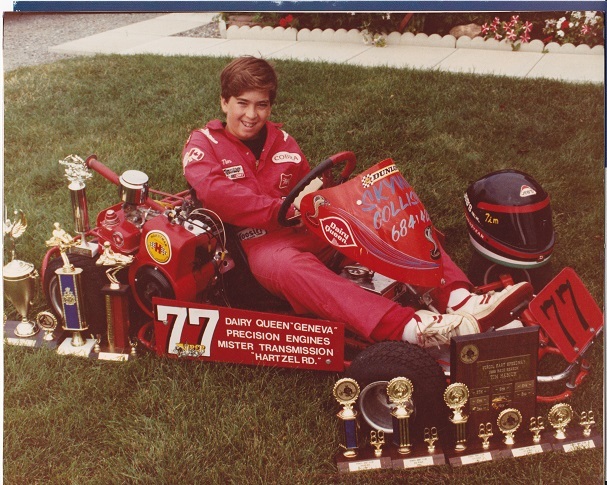 Karting, Street Stocks, Mods, Sprint Cars, 10.5 Outlaw Mustang, I have dabbled in just about all forms of racing but I have always enjoyed karting. Even though things have change, karting is the purest form of racing and to me the most fun. Eight years ago I got my son his first kart and we have been at it ever since, I myself love the level of competition karting requires. Karting has changed a lot over 30 years but one thing that remains the same, big team or small team, it takes a solid team to be on top. Over the past few years I have been privileged to meet some of the best people in the industry and learn from them, I feel it is my job to take that information and provide a format to help the industry. TRJ Karting's goal is to form a team of industry leaders, chassis manufacturers, tire gurus, motor builders, safety experts, that will provide insite and tech tips to help karters get the best out of there equipment. While there are plenty of forums already, we will not be a forum driven platform. Forums do provide information....and drama, you can have the top karter in the business who has banked thousands upon thousands give you the exact set up he used to win a $10,000 race and you will have 50 responses telling him what he did wrong. Take from our site what you will, but we will get you the information you need, it may not work for all but it works. TRJ Karting also offers a webstore, offering everything from engine parts to safety gear, and new products being added all the time. With the webstore we want to make it easier to find the parts you need at competitive prices, so please take a look.